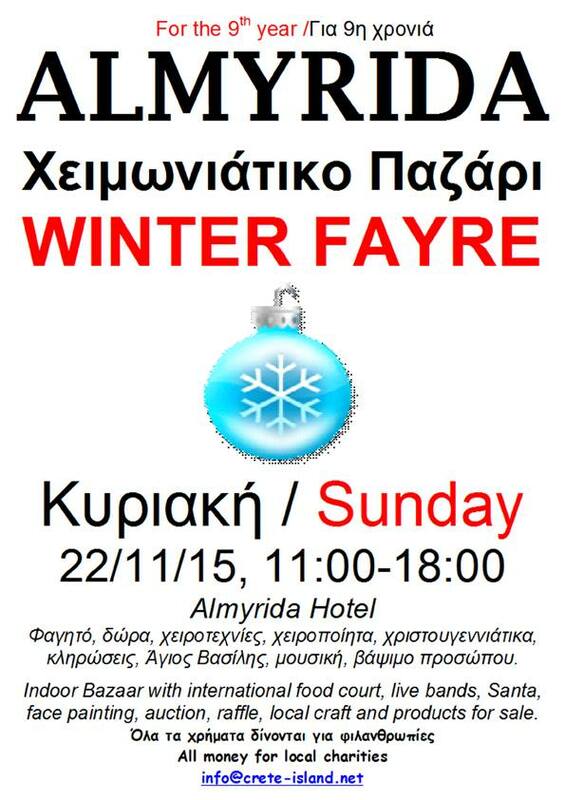 Winter fayre at the Almyrida Hotel on Sunday 22 November starting at 11.00. There will be food, music, face painting, an auction, local crafts and products for sale. Money goes to local charities.